Thanks to the quirky humour of Nanacathy I have discovered Friday’s Fences, this is a site that invites you to post a photo of a fence or a view through a fence. So here goes……..
Near where I work is a lovely valley so I often drive down to park in one of the little pull in car parks and eat my lunch. 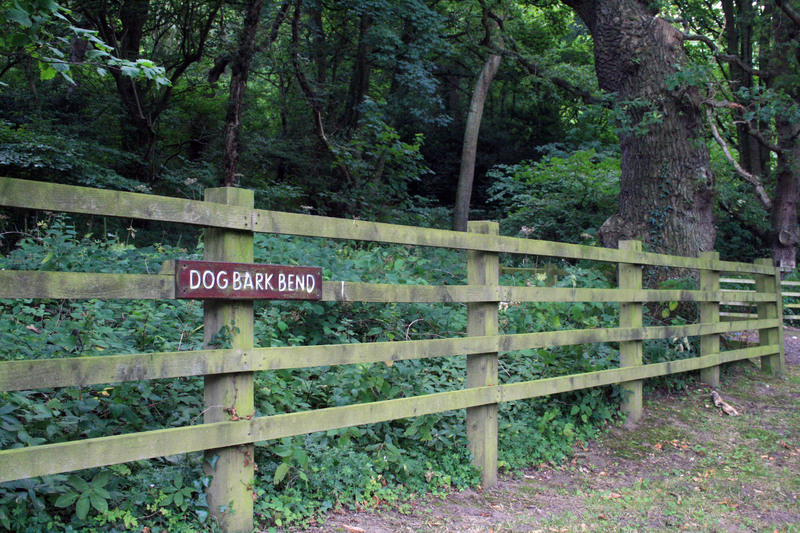 Dog Bark Bend is one of my favourite spots so I thought it would be a good one to share with Friday’s Fences. This feels like a good time to disclose a fascination I have that is maybe a bit weird………… Trees that look like something. I am not crazy honestly, it all stated about 15 years ago when I spotted a dead tree at the side of the main road out of town that resembled an elephant stood on his hind legs with his trunk extended to the sky. I mentioned it to a few people and quickly found that I was not the only person to have made this observation. I often thought about taking a photo but was always hurrying somewhere, or forgot to take my camera. Then one year there were some terrible thunder storms and said elephant tree was struck by lightning, he sadly lost his trunk and promptly ceased to resemble anything other than a dead tree! 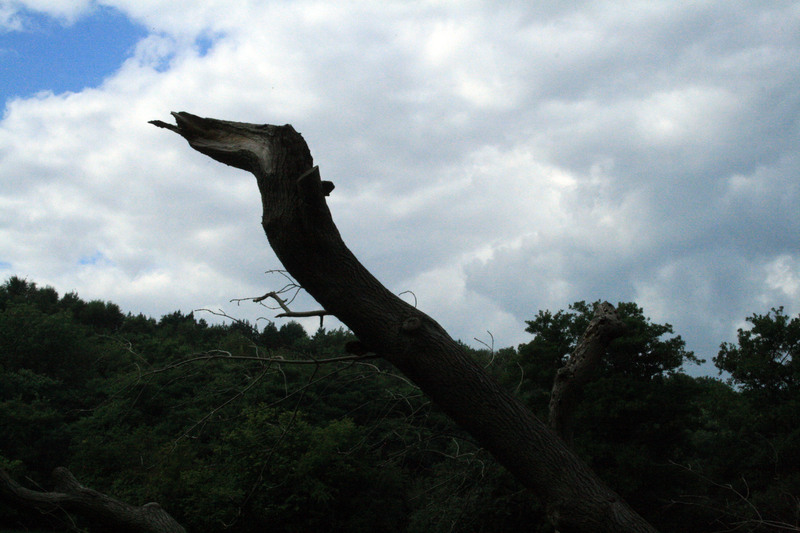 But since then I have noticed other forms in trees and in my lovely valley is a great wooden snake rising out from the edge of a field reaching for the skies. 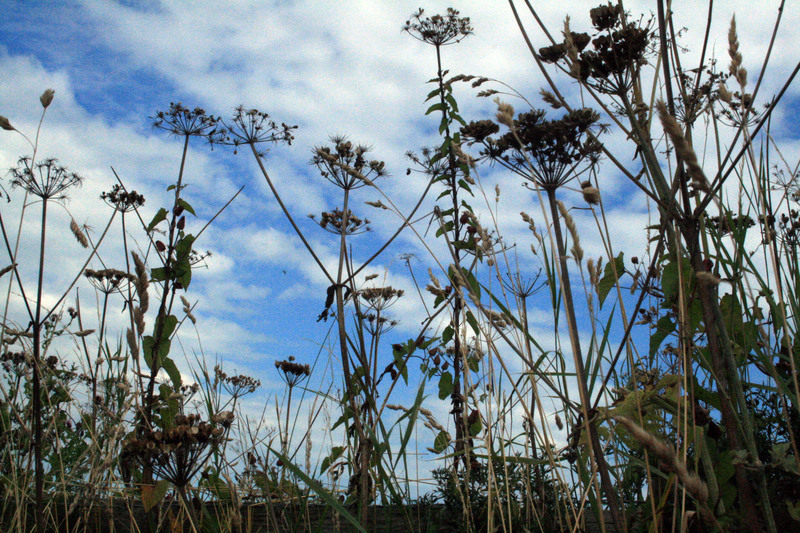 On a more sane note I also snapped some dying seed heads bobbing in the breeze against a blue sky laden with feathery clouds. More hooking news to follow this holiday weekend, hope you all enjoy this extended weekend break. I am so excited, my hubby promised me a macro lens for my camera and we ordered it on Friday and it arrived today! All the way from Hong Kong in just 2 days, I think that is quite impressive. So what have I been doing this evening? Yes of course I have been testing my new equipment. 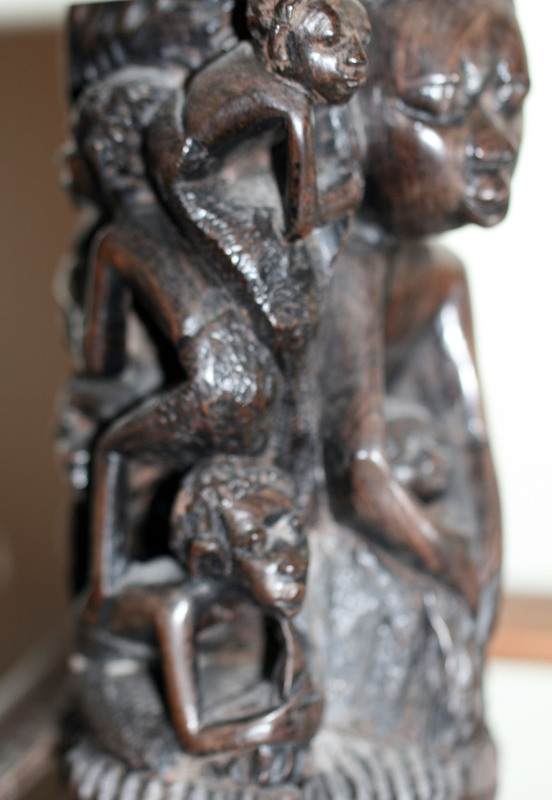 Look at the detail in this wood carving, I could never have done this with my regular lens. I want to say thank you to two people who have helped me with selecting my new lens, Liv Cawston a photographer and colleague and Petra for her post on camera lens. I still have much to learn but I am hopeful that this new lens will help improve the images I produce. 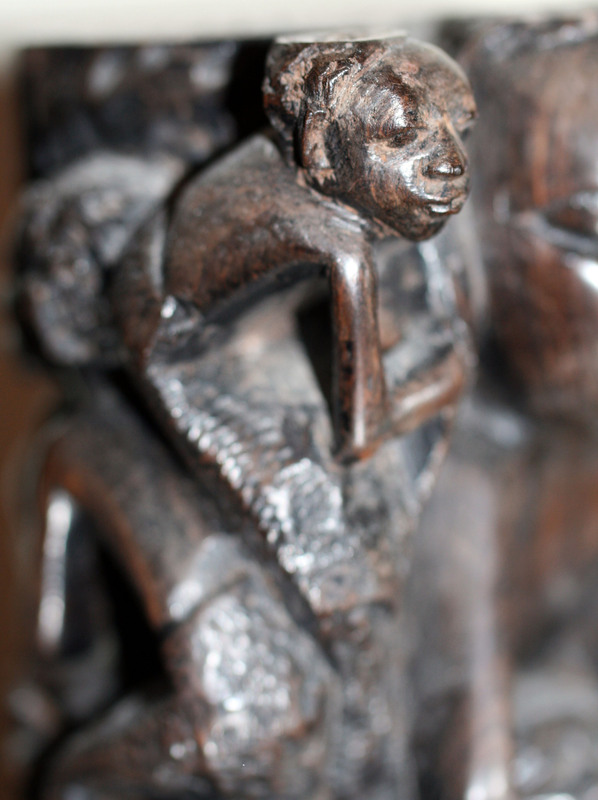 You can get really detailed views, the face on this carving below is actually less than 25mm. I am going to have so much fun!! !